To me this election is about out right, our security, , our identity, and our very existence which has been is under threat from the Mamta Banerjee led TMC government of West Bengal. 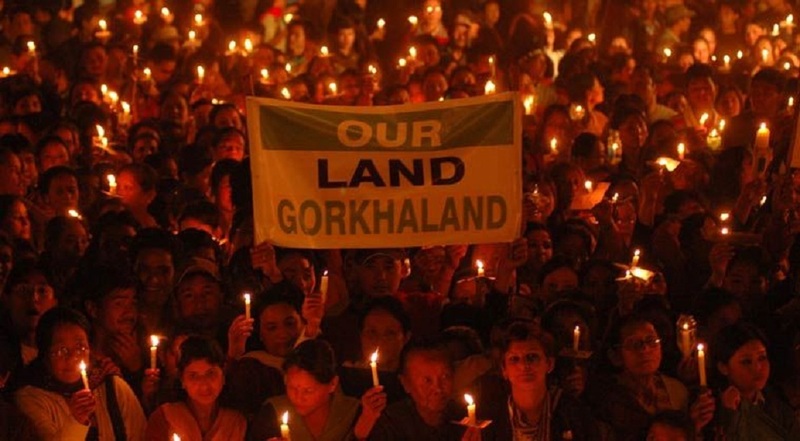 This election is primarily about Gorkhas and Gorkhaland Vs. the veiled attempts at diluting and eventually eradicating the Gorkha identity and the atrocities and injustices inflicted by Mamta Banerjee and TMC upon us and nothing else. “We will recognise the 11 left out Indian Gorkha sub-tribes as Schedule Tribes. We are also committed to implement the reservation in the legislative assembly of Sikkim for Limboo and Tamang tribes. • “Mamata Didi amar rahos, BJP le jiti halos!!”. “People here are looking for a permanent political solution in the highest form of constitutional autonomy. They will vote in favour of BJP as it has always tried to accommodate the Gorkha aspirations in its political manifesto while the Bengal government has clearly stated that they oppose the idea of Gorkhaland,” he said.